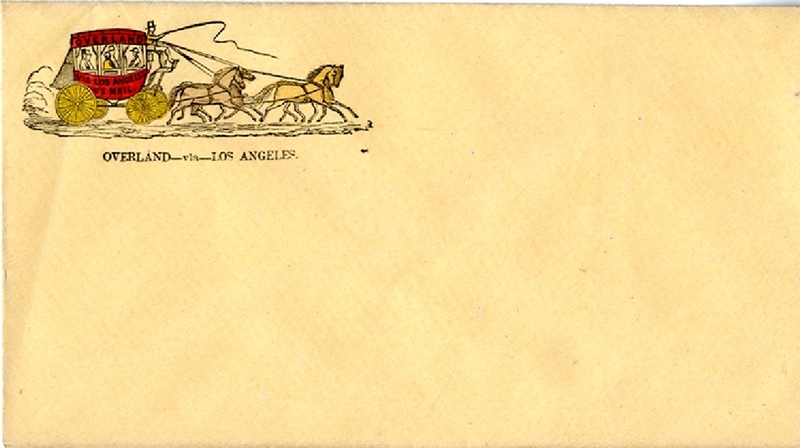 Overland Express cover, with illustratred stagecoach with “OVERLAND - via -LOS ANGELES” hand colored red with gold wheels. Fine condition. A postally used example of this cover was recently listed in a New York auction catalog with a $20,000 to $30,000 estimate.